Many have asked us for a statement of our beliefs. At the bottom of this page is the “legal” statement of our fundamental beliefs. It is patterned largely on the 1948 Radio Church of God Fundamentals of Belief, with the exception of a few additions at the end to bring it up to date to where we are living today, near the end of the Laodicean era of God’s Church. Simply put, we in the Church of God believe ALL that Mr. Armstrong was teaching at the time of his death in 1986. He spent the last 7 to 9 years of his life putting the Church back on track, and indeed it was at the time of his death. So we hold to those truths and doctrines, ALL of the doctrines whether they be so-called "minor" as well as the major ones. I used that term: "minor" because many today feel that some doctrines are less important than others and therefore it's not necessary to hold on to some of them. But in the eyes of God, ALL of His doctrines are IMPORTANT and they each are placed into His Church for a REASON. So in reality- ALL doctrines are MAJOR! We (in the Church of God) should all know by now what those doctrines are, as well as the judgments or directives that were put into place by Mr. Armstrong. This website will occasionally post information on some of these subjects, that so many "scholarly" men in the "Churches of God" today feel are insignificant or not important. But they must have been important to God because He inspired His apostle to make decisions on them which believe it or not are STILL BINDING today. Christ teaches us through His Word, and Mr. Armstrong taught us through his writings and sermons, that only APOSTLES have the authority to bind and loosen doctrine within God's Church. More is covered on this subject elsewhere in this website. This simple truth, if truly BELIEVED and heeded by the splinters and offshoots of the WCG today, would begin to help heal the breach that has occurred since the death of Mr. Armstrong. The prophesied great falling away has happened and it has literally resulted in a "spiritual" abomination of desolation within the Church of God today. How sad! But prophecy is being fulfilled. This is a major reason why none of these groups, or the Church as a whole, speak the same thing. They fail to "see" the root cause of the division. "How does God infuse His TRUTH into His Church? Not through each individual separately - but through the apostles, and other ministers under them." So we can observe at least two things here. FIRST, there must be an apostle present for "new truth" to come. And SECONDLY (if) there is any new truth to come through a minister, that minister must be UNDER the apostle! Today there is no apostle alive, so no new truth or doctrines should have come since the death of Mr. Armstrong. But what we see today in Laodicea is quite the contrary. "In the time of the first apostles - first century - the Bible was not yet completely written. God used a very few prophets, through whom He communicated. The prophets gave the message to an apostle. Today the Bible is complete. God has used no prophets in the Church in our time. "However, the laity of the first century Church recieved their teaching and instruction from the apostles. The original twelve had been taught by Christ in person - and so also had Paul. Jesus Christ was the personal Word of God. The Bible is the written Word of God. It's all the precise same truth and teaching, whether from Jesus in person, when on earth, or from the written Word of God. God's apostle for our day was taught by the written Word of God - the SAME IDENTICAL TEACHING!" "And all in the Church are commanded to speak the same thing - and it MUST be what Christ, either in person, or by written Word, has taught His apostle." There is a lot of information in that little excerpt. Please go back and read it again and again. If ALL of us in this Laodicean era would heed this today, things would begin to change quickly! But what do we see instead? We see men trying to "duplicate" what Mr. Armstrong already did such as preach the gospel to the world as a witness to all nations. This is fulfilled prophecy. But some are still trying to do it anyway, and in a sense by their own actions, are saying that God did not do the job, or do it "good enough" through Mr. Armstrong! Do they not realize that this is an exercise in futility? And do they not realize that this is in essence "thumbing their noses" at God, and slapping Mr. Armstrong in the face? Think about it! So suffice it to say, that in general, this is what we believe as our "statement of beliefs". 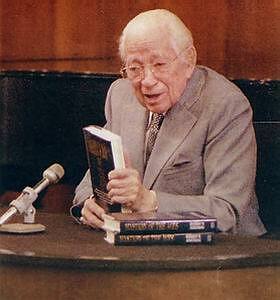 Our beliefs ARE the Bible, and the writings and sermons and teachings of Mr. Herbert W. Armstrong. But for those who need the long or legal version, the below link will take you to our statement of fundamental beliefs.